HomeRonovan Writes’ Solve it Challenge #2. 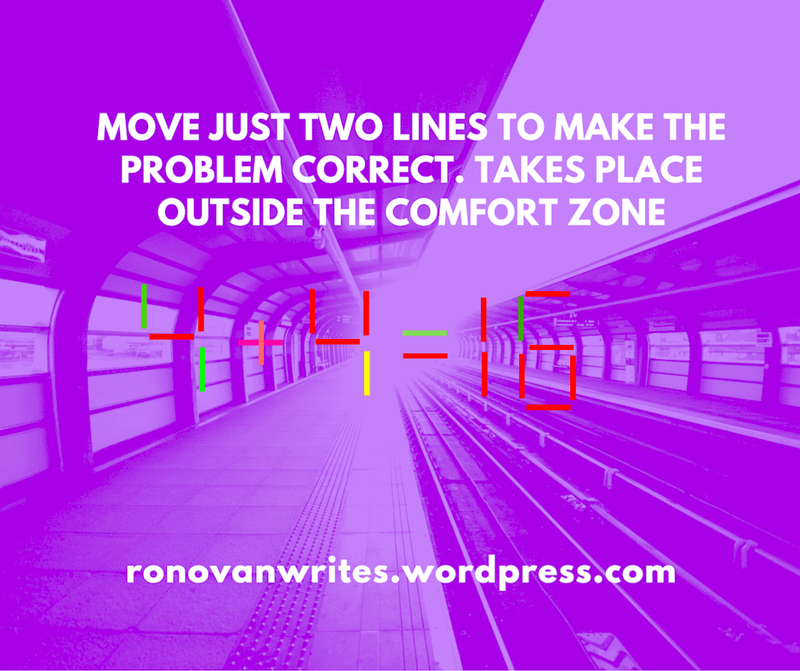 Ronovan Writes’ Solve it Challenge #2. Click “Like” if you have the answer and make sure to share it around. Don’t put the answer in the comments. We want lots of people to get creative. Move just two lines to make the problem correct. This one will require you to think differently than usual. If you want to prove you know it, Fill out the form! Last week’s entry had 10 people submit their answers with one coming up with 4 potential solutions!